sailboat. 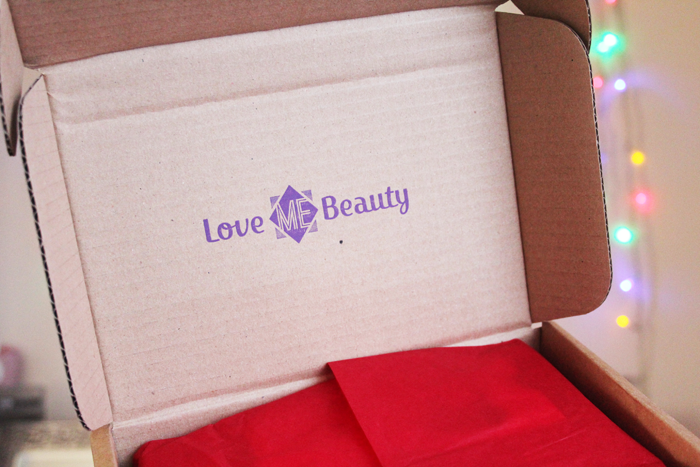 : Love Me Beauty Box: Valentines Day Edition 2014! 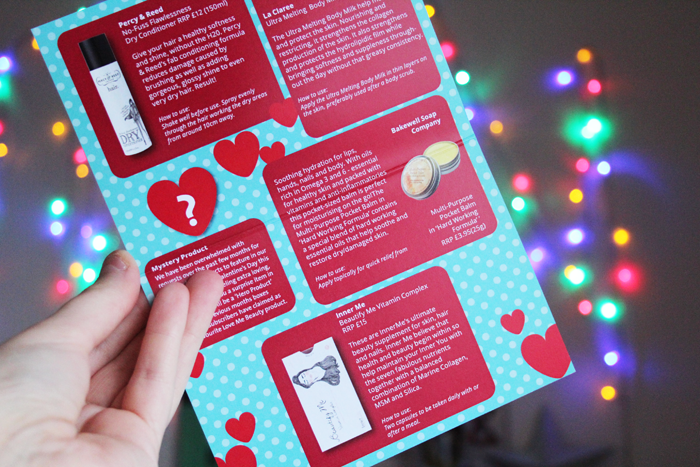 The promise of a mystery addition to this month's Valentines Edition of Love Me Beauty has had me intrigued for a couple of weeks. When I was younger I used to love Lucky Bags, I don't know if they still exist but they used to have naff little plastic toys and some sweets inside & whenever we were in a shop that sold them I used to beg my Mum to buy me one. Those were the days! I was already pretty excited for the arrival of my box this month because the products inside are ones I've never tried before, ones I probably wouldn't pick up if I were out shopping but they really appeal to me and I want to give them a go. That probably makes no sense at all, does it? I tend to play it pretty safe when I'm shopping now, I'm more likely to repurchase something I know I like rather than giving something new a try. I need to get back to being a little more adventurous I think! Percy & Reed No-Fuss Flawlessness Dry Conditioner (£12 for 150ml) Full size product. We all have those days where washing our hair seems like one task too many, preferring to reach for a trusty can of dry shampoo. Whoever invented that, thank you! Dry conditioner is something I've never thought about before, but now I have a can here I'm really looking forward to giving it a try. Promising to give your hair a healthy softness and shine, it says it helps to reduce damage caused by brushing. How true that is I'm not sure, but I'm hoping it gives my hair a little extra shine! La Claree Ultra Melting Body Milk (£24 for 200ml) Sample size product. This has a really lovely texture. I don't think I'd describe it as a milk though, it has a light lotion consistency that almost feels like it's been lightly whipped. The scent is very classic, almost a little like Nivea and it lingers for a really nice amount of time without being overpowering. This promises to nourish the skin whilst promoting collagen production. 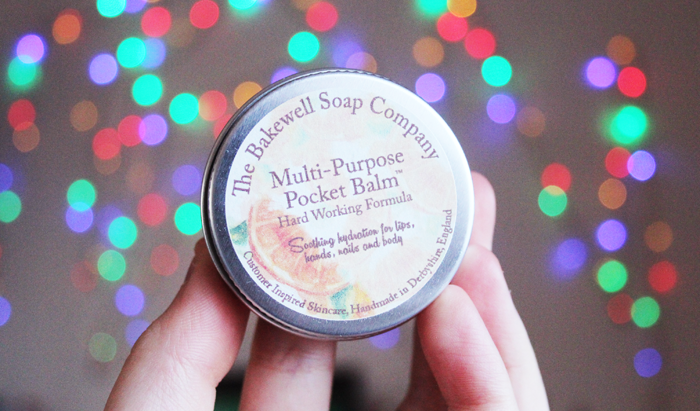 Bakewell Soap Company Multi-Purpose Pocket Balm (£3.95 for 25g) Full size product. I don't live too far from Bakewell so I'm really looking forward to trying out a locally made product. 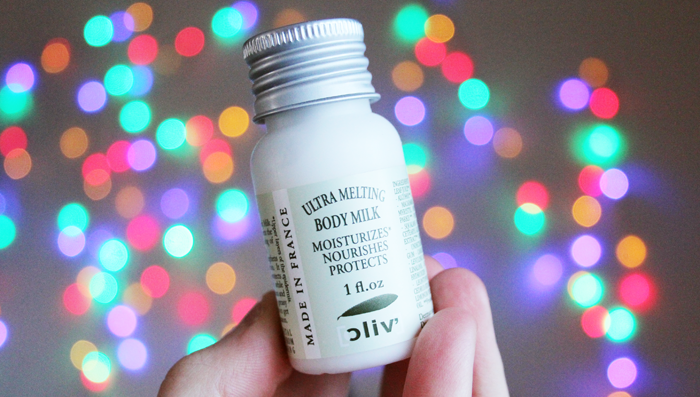 I really love a good multi-use product and this is a balm that can be used on the lips, hands, nails and body. This has a really nice consistency, it's balmy but not too oily and it makes an especially lovely lip balm. 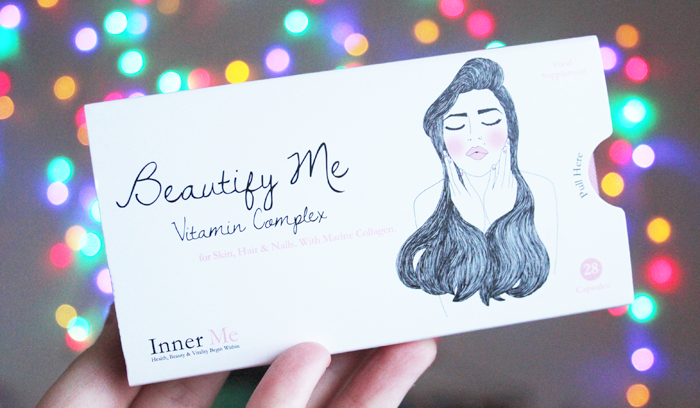 Inner Me Beautify Me Vitamin Complex (£15) Full size product. I think I've heard of this brand before but I've never tried anything from them before. The instructions say you should take 2 each day after a meal. There are 2 weeks worth of capsules in this pack, so if you were taking them all the time it would definitely start to get quite pricey! Inner Me believe that health & beauty begin within and these capsules provide 7 fabulous nutrients. 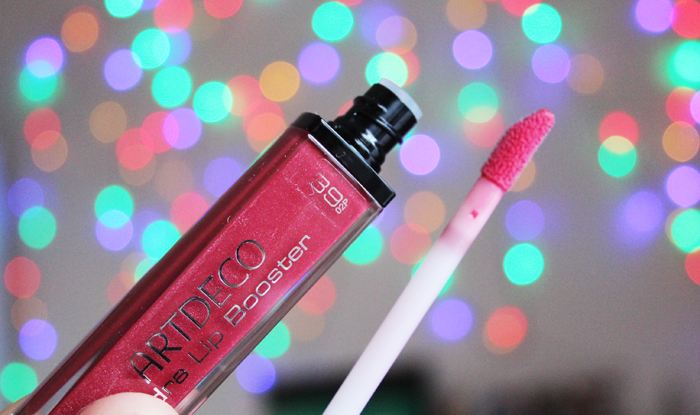 Artdeco Hydra Lip Booster (£11.50) Full size product. This is the mystery product and I'm really pleased! A gloss from this range was in the November box and it's a beautiful formula so I'm really looking forward to trying out another shade. These are pretty sheer, but they do give a beautiful hint of colour with a super glossy finish. Translucent Wood Rose is a beautiful rose shade that's perfect for Valentine's Day and I think this was a lovely surprise addition to this month's box. 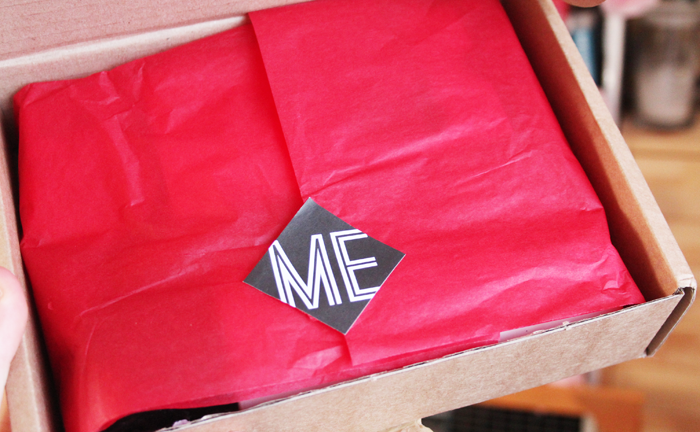 Are you subscribed to Love Me Beauty box? What do you think of the Valentine's Day edition? I'm still really on the fence about beauty boxes and subscription services but it looks like you did get some pretty decent things! I am so tempted to subscribe to this box! 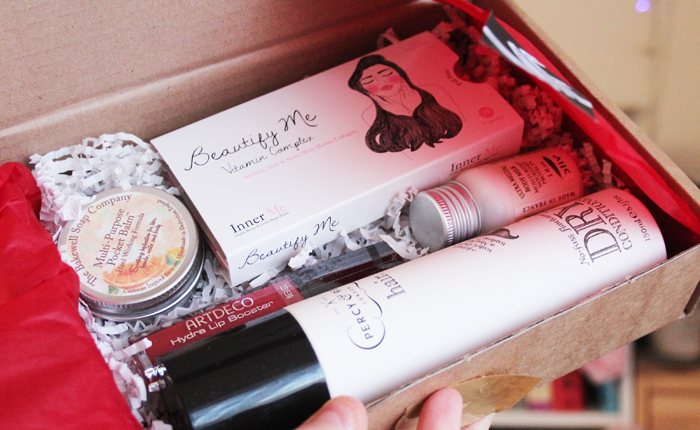 I said I would give beauty boxes a rest but this seems to be a steady offering of great products, and the option to choose is too tempting. The Multi Purpose Balm, Vitamin Complex and Dry Conditioner sound so good! Oooh I love the sound of the dry conditioner! :) That sounds like such a great idea. Some lovely items here :) Wish I could afford a beauty box subscription again, miss the excitement! All nostalgic about lucky bags now too, haha, I seem to remember one with a turtle on the packaging! I'm very intrigued to find out about those Inner Beauty vitamins, although I'm head over heels with the packaging! What a lovely box of goodies though. 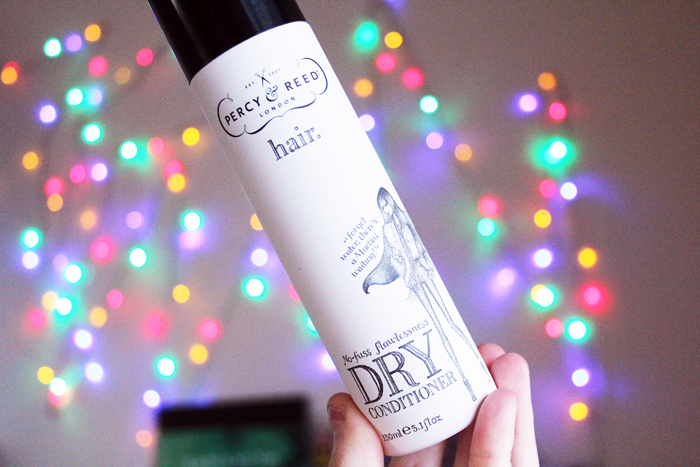 The dry conditioner sounds pretty odd to me! I think I'd rather use the usual conditioning spray although again I'd love to know if it actually works for you! I think everyone has the ability to draw! You're probably better than you really think you are :) great to know you doodle the odd bit, I always end of mindless doodling on the phone myself! I used to absolutely love these boxes and then suddenly they just weren't doing it for me anymore. It's such a shame because when they were doing products I liked they were such fantastic quality. Update on how the dry conditioner works for you please? I love the colour of that lipgloss! Nice content of the box. :) I like it. I missed the postman with my box yesterday, but I just had to read your post to find out what the mystery product was. I was worried it would be another Lord & Berry lipstick, but I'm quite pleased that it's an Artdeco gloss instead - the last one they gave out was absolutely brilliant!